Paper umbrellas have a long tradition in Asia. 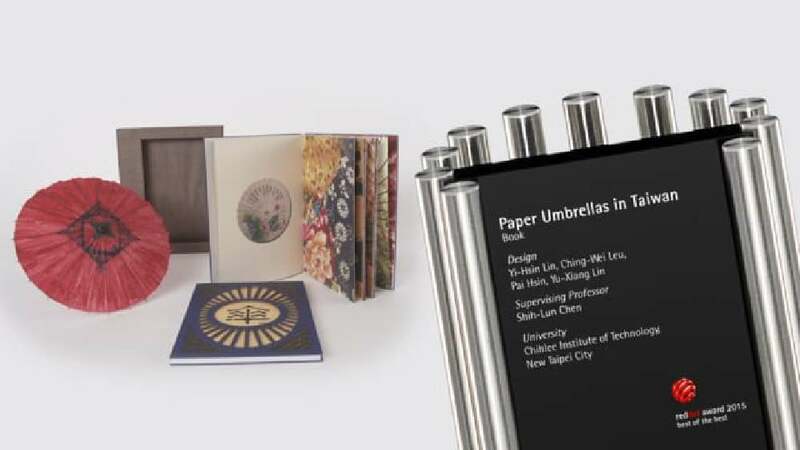 This book aims to explore their origin and traditional significance and is based on comprehensive research made in Meinong, a district of Kaohsiung City and a centre of the traditional Hakka culture in Taiwan, where paper umbrellas still today play an important role. They are used in daily life as well as at festive occasions. This book visualises the complicated production method of paper umbrellas, which is several thousand years old. The production requires a great amount of time and knowledge since it employs sophisticated bamboo processing techniques. In elaborate illustrations, the book also documents the rich culture of the Hakka people in Taiwan. This work impresses with the beautiful realisation of the idea of retelling the history of paper umbrellas. It offers a comprehensive presentation of the subject, vividly illustrating its deep roots in tradition. Both the design and the production of the book are rigidly and consistently realised. The miniature models of paper umbrellas, which are true to the smallest detail, are also fascinating in their aesthetics.